America’s biggest conspiracies, as told by the experts. Is the Federal Reserve System unconstitutional? Was the IRS created to bail out Big Banks? Are cancer cures and cheap alternative energy being suppressed? Are elections made fraudulent by hacked voting machines? 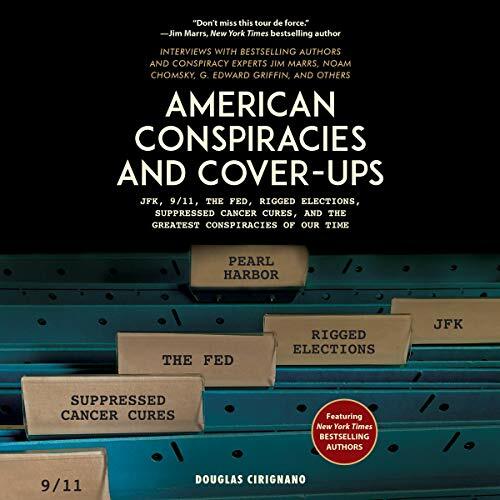 Author Douglas Cirignano brings together the foremost experts in the field to answer these questions once and for all, and prove that mainstream histories don’t tell the real story. ©2019 by Douglas Cirignano. (P)2019 Brilliance Publishing, Inc., all rights reserved.